Within the limits established by law, www.neststylegranada.com assumes no responsibility for the lack of veracity, integrity, updating and accuracy of the data or information contained in their Internet sites. The contents and information do not bind www.neststylegranada.com not opinions, advice or advice of any kind as it is merely a service offered for information and informative. The www.neststylegranada.com Internet pages may contain links (links) to other third parties can not control www.neststylegranada.com Therefore, www.neststylegranada.com can not take responsibility for the content that may appear on these pages. The text, images, sounds, animations, software and other content included in this website are the exclusive property of www.neststylegranada.com or its licensors. Any transmission, distribution, transfer, reproduction, storage or total or partial public communication must have the express consent of www.neststylegranada.com. 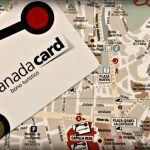 Also, to access some of the services offered through the www.neststylegranada.com website should provide some personal data. In compliance with the provisions of Law 15/1999, of December 13, Protection of Personal Data, we inform you that by filling in these forms, your personal data will be stored and processed in files NEST HOSTELS ANDALUCIA, S.L. for the purpose of offering and providing our services and to inform improvements to the website. Also advised of the possibility of exercising rights of access, rectification, cancellation and opposition of your personal data, free via email to notifications@www.neststylegranada.com or address Plaza Del Carmen, 27, 18009 – Granada (Granada).